The voice on the phone was excited, yet teasing, “Guess who has hash on their brunch menu!” Before I could utter a word, Lisa exclaimed, “Beast!” Thinking this was the cruelest of all jokes, I pleaded, “Are you kidding me?” She quickly assured me that indeed Beast offered hash, explaining that her friend mentioned that it offered brunch. I quickly ran to my laptop while simultaneously executing cartwheels and hollering like a drunken cowboy winning at poker. And so it was with extreme anticipation and reverence, we set out for the superlative and amazing Beast for a hashcapade. As we entered the cozy and inviting restaurant, the amazing aromas of our soon-to-be 4-course brunch greeted us as we opted for seats that gave us a view of the action in the kitchen. 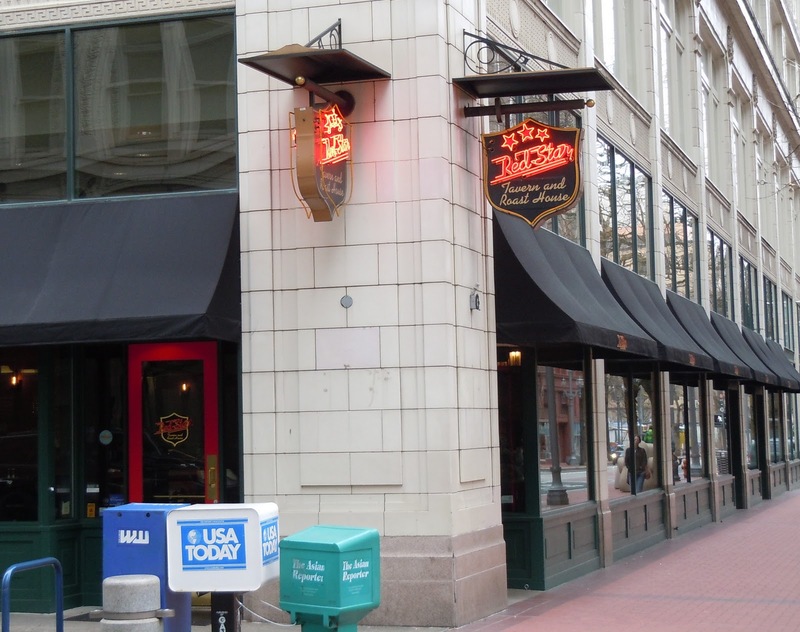 For those of you unfamiliar with Beast, there are 2 large communal tables you share with other foodies as we quickly fell into a friendly conversation with Meg and Thompson. They share our enthusiasm for athletic endeavors and belief that it represents a license to eat well – great company! We didn’t meet the other group at our table, 4 hipsters who I thought were continuing the previous night’s bender – “Dude, you’re gonna be wasted. You’re on your second mimosa and your having the wine pairings?!? !” On with the first course! And now to the hash itself: Beast Hash – Tails and Trotters Braised Pork Shoulder, Market Potatoes, Garnet Yams, Leeks, Brussel Sprouts, Poached Farm Egg & Truffled Hollandaise. Finished with an artistic swirl of sweet balsamic reduction, where do I begin to describe a complex, sumptuous, gorgeous celebration of my obsession that is hash? The combination of roasted brussel sprouts were balanced by the sweetness of the yam. The pork shoulder was succulent, especially with the yokey and silky goodness of the egg and hollandaise. All of these flavors, textures and aromas combined to create a symphonic culinary masterpiece! The final two courses above were perfect companions to the hash. The Cheese Bar cheeses offered with the radicchio and butter lettuce salad were creamy. And the finale, a chocolate truffle cake sprinkled with gold leaf was divine. Lisa and I were completely satisfied, complete in the knowledge that we had just experienced the *perfect* hashcapade! 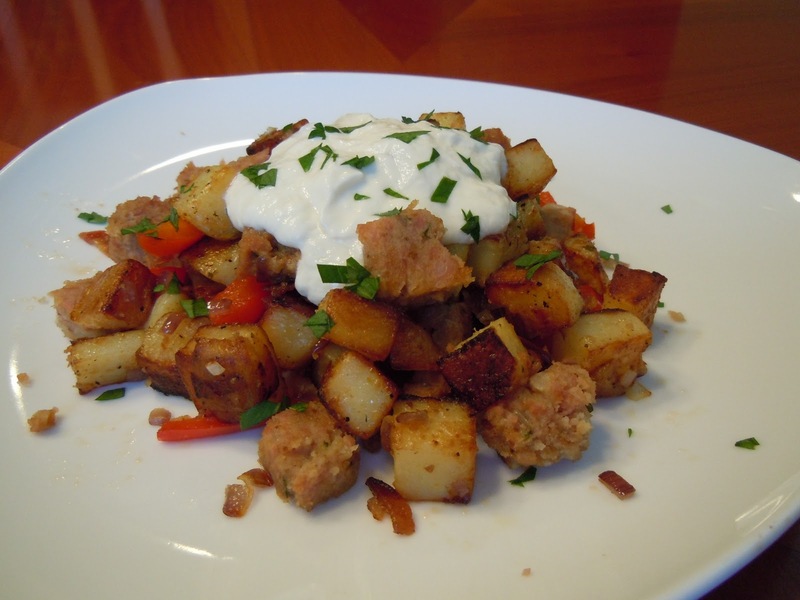 I’ve often wondered how hash differs around the country, imagining that the prevailing favorite staples would create new, iconic hashes: Texas – BBQ, Maine – Lobster, Louisiana – Crawfish. Well, it is true that regions differ, but what’s even more interesting is that potatoes aren’t the only anchor veggie. Say hello to Dirty Rice. I mean low-down-get-on-your-spurs-we’re-going-for-a-ride kind of dirty! This creation is really a combination of rice and picadillo, which comes from spanish and is the equivalent of hash in English. 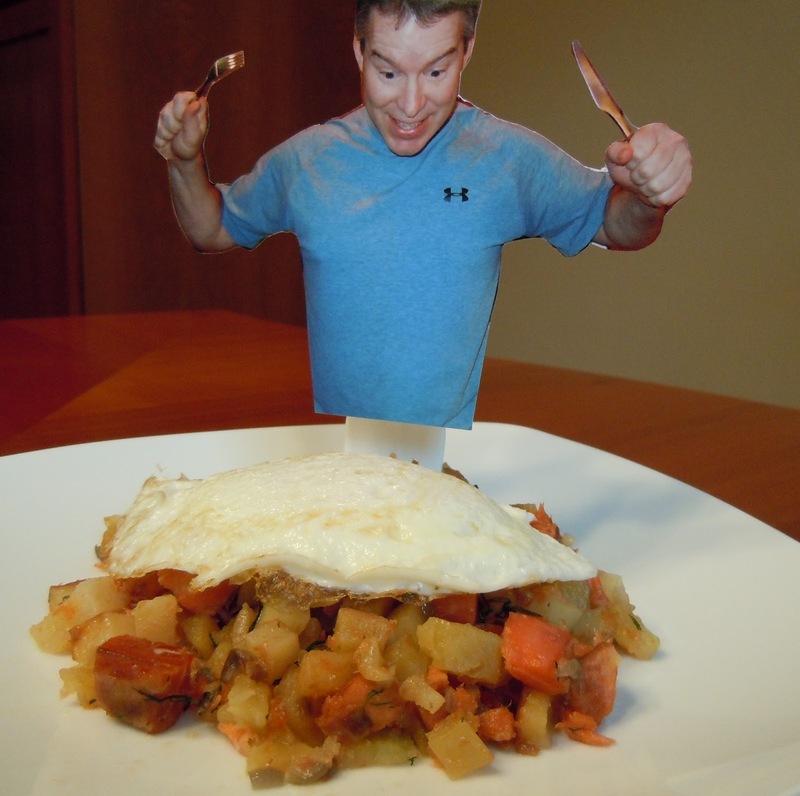 One of the things you’ll notice with this hash is how easy it is to throw together. Besides the above ingredients, you’ll need rice (I used basmati because it it super simple and fast to make) and Trader Joe’s Chipotle BBQ Flat Iron Steak. 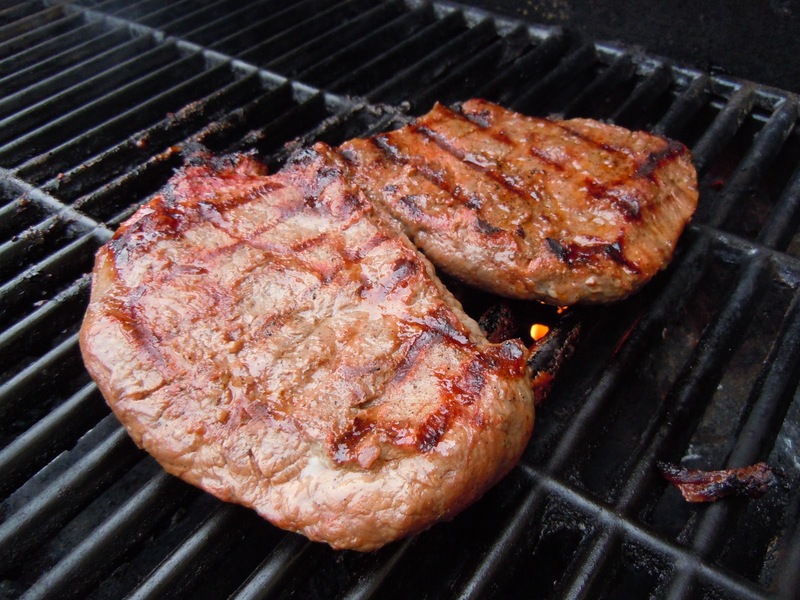 The steak is already marinated in a lovely chipotle BBQ sauce and is so tender and tasty, I couldn’t stop eating the hashed morsels of divine goodness. 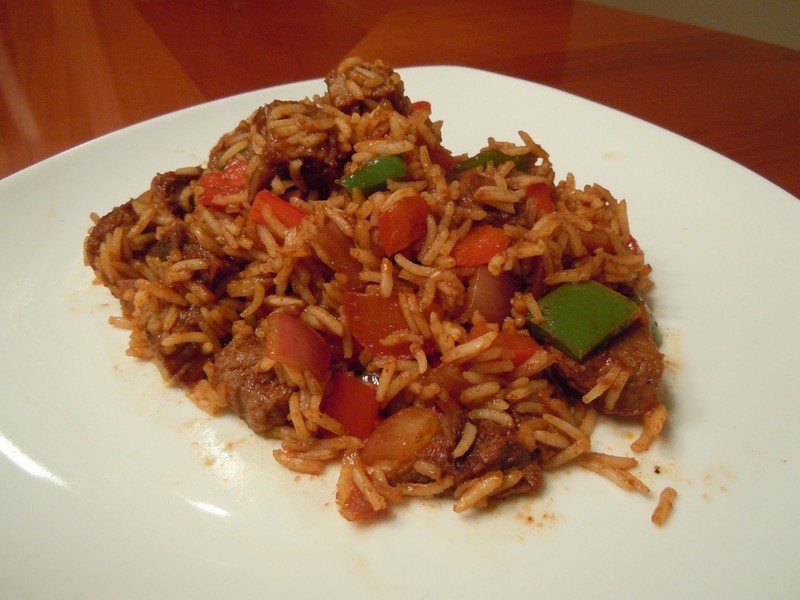 With the thick BBQ sauce and chili powder, you can understand why they call it Dirty Rice. This is something that works for lunch/dinner/4th meal (I did not say that.) and will alter your perception of what constitutes hash! 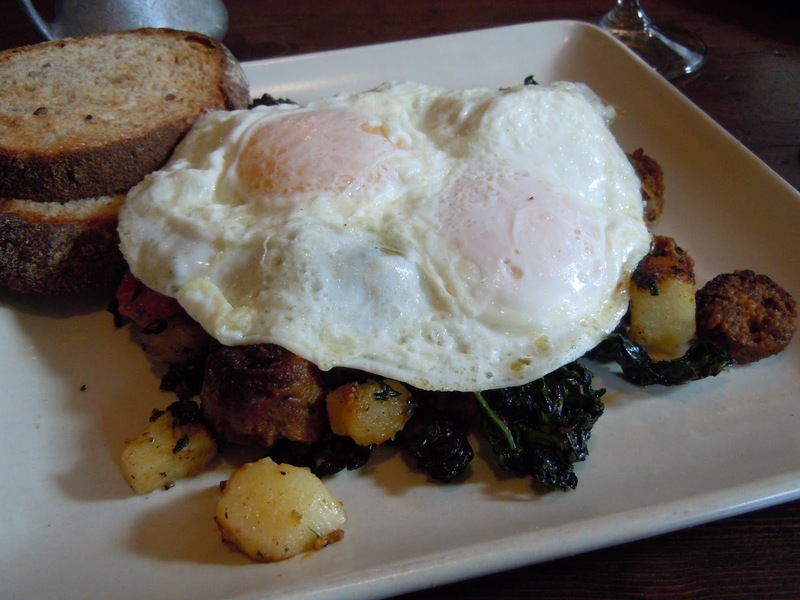 I’ve had my eye on Red Star Tavern for a while because its menu not only has a Hash section, but boasts a House-Made Chorizo Hash! Any establishment that seeks to showcase it’s house-made goodness in a hash is automatically my new best friend. Such artisanal dedication validates my core belief that hash is worthy of gastronomic inventiveness and time spent laboring on its ingredients. Welcome to my church! When my order arrived – nicely arrayed on the square, Heath ceramic plate – the kale and chorizo had my full and complete attention. I couldn’t wait to dig in! Amazing flavors burst upon my palate as the chorizo’s complex and spicy flavors yielded to the slightly crunchy and earthy flavor of the kale and yukon gold potatoes. This hash needed no Hash Talk diagnosis or tweaking or overhaul, just a big appetite and an appreciation for the flavor-packed punch of the chorizo. As usual, I kept some extras for leftovers, but caught myself stealing tasty morsels under the egg – this is addictive stuff and worthy of your hash devotion! However, when I reviewed the photo, I was less than enthused. Besides my shiny forehead and awkward tilting of the plate (yes, hash rolled onto the floor), it didn’t scream – HASHCAPADE! It was more more akin to: have pity on me judges for I know not what I’m doing 😦 Time for some serious creativity, the kind that would redefine forevermore how foodies the world over would showcase their food, not their countenance! 6) Spoon hash onto plate, reserving a little bit for garnish. 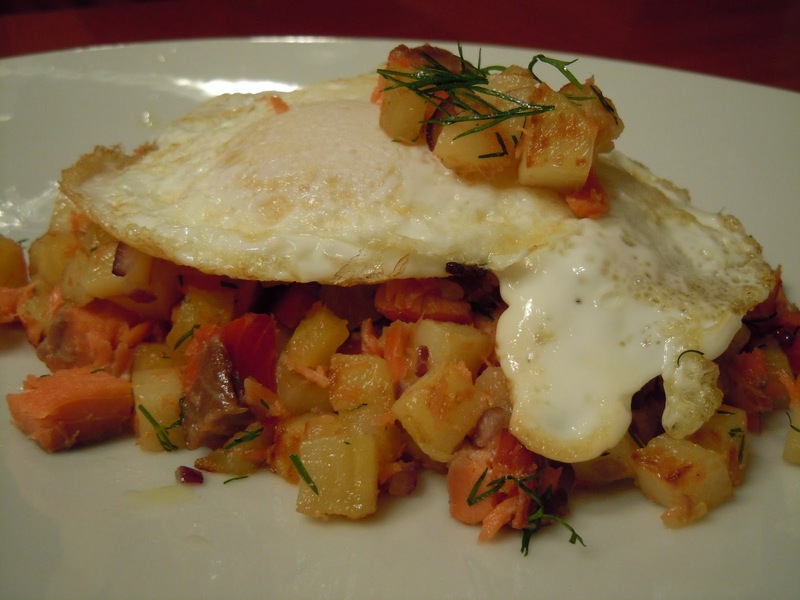 7) Top hash with egg, garnish with a dollop of hash and a sprig of dill. NOTE: Makes 2 servings, once egg each, or one monster plate! As Yogi Berra once said, “It’s déjà vu all over again.” We planned a hashcapade at Screen Door and by the time we were sufficiently caffeinated to brave the Sunday crush, we were an hour out from heaven on the waitlist. Not gonna happen. Here’s where it gets more interesting. Astute readers will remember my sage advice to always have a backup, which was Podnah’s Pit. 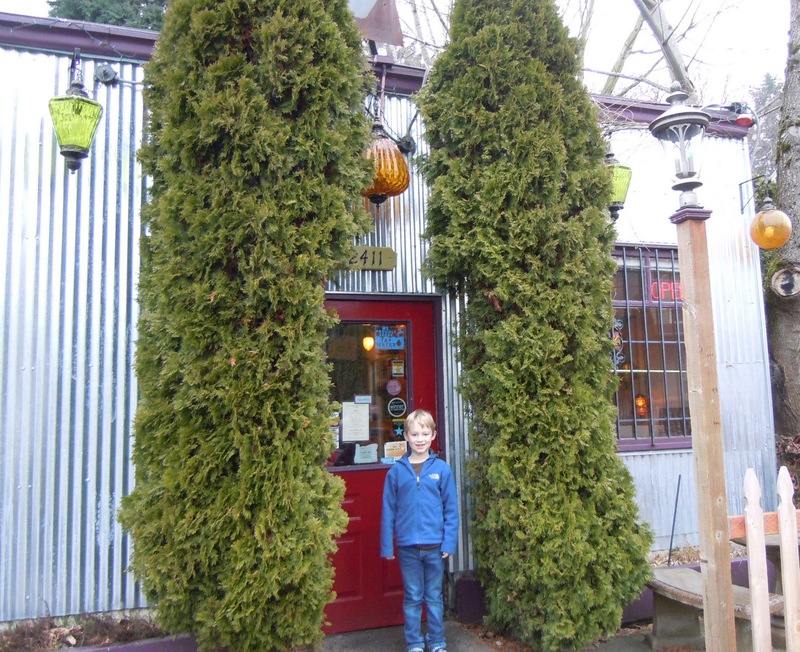 After driving past where I thought it had been, I realized it had moved and proceeded to NE Killingsworth. Needless to say, it was still under construction and by this time my stomach was protesting loudly. So much so, that it’s angry rumblings almost made me drive to Denny’s, but my stronger mental faculties put down the gastro-coup. 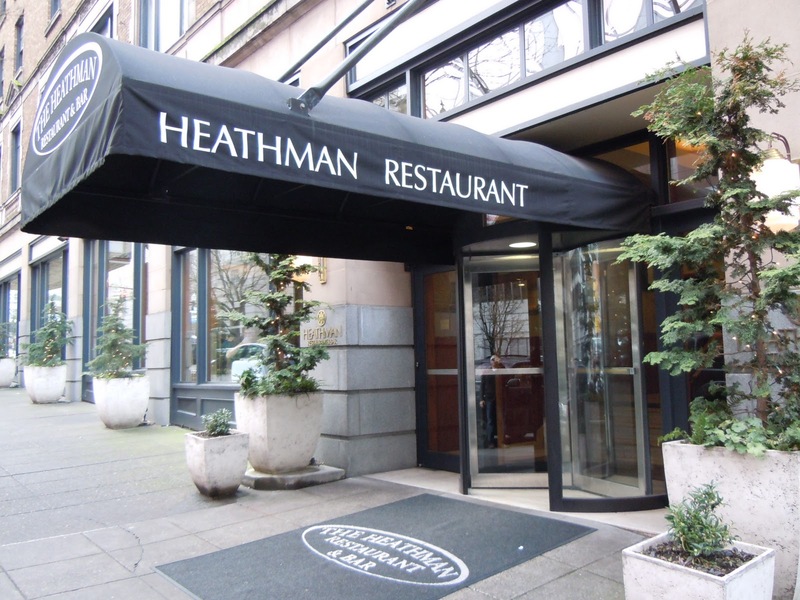 Here’s another bit of advice: have a native Portlander with you on your hashcapade, because Lisa immediately recommended The Heathman Restaurant. 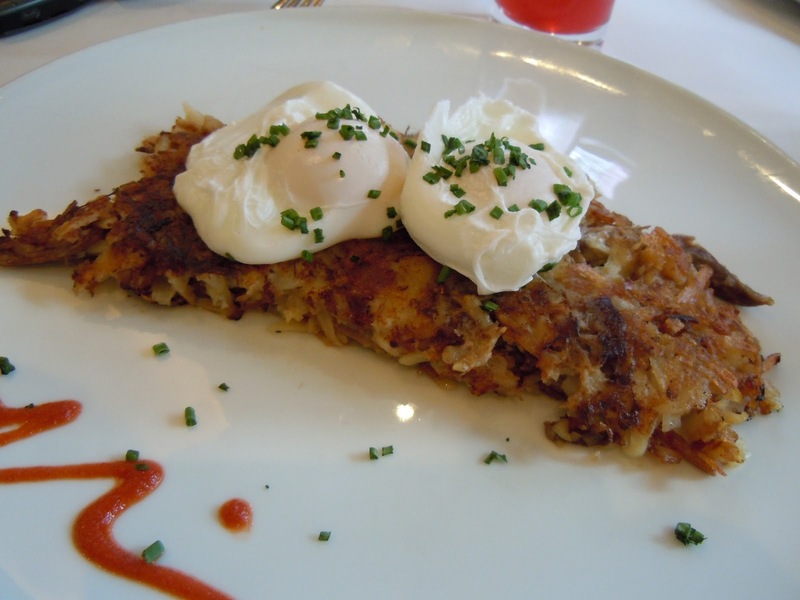 This hashcapade was definitely looking up as we hurried through the revolving doors and discovered they not only offered Smoked Salmon Hash, but had added a Duck Confit Hash. 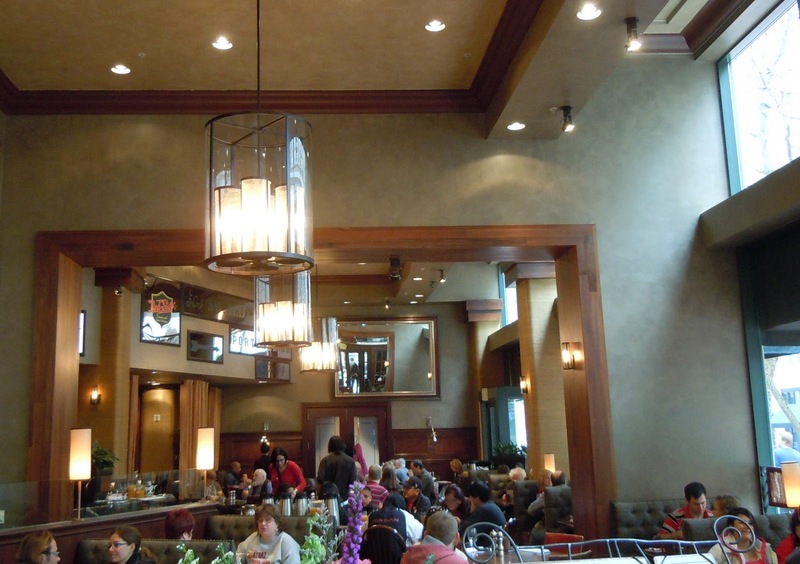 Decisions – esta un decision me molesta – are never easy, so I explained my dilemma to the waiter who quickly assured me the Duck Confit was superb. I relaxed and sipped my fresh-squeezed blood orange juice as Lisa warmed her hands on the coffee and inhaled the roasted goodness. What a lovely presentation – hash, poached eggs, chives and a little signature hot sauce! The taste and flavor exploded in my mouth as I savored each bite. The duck confit itself was moist, the hash browns slightly crispy and tasty with little bits of onion. Combining the egg, hot sauce and chives was sublime. 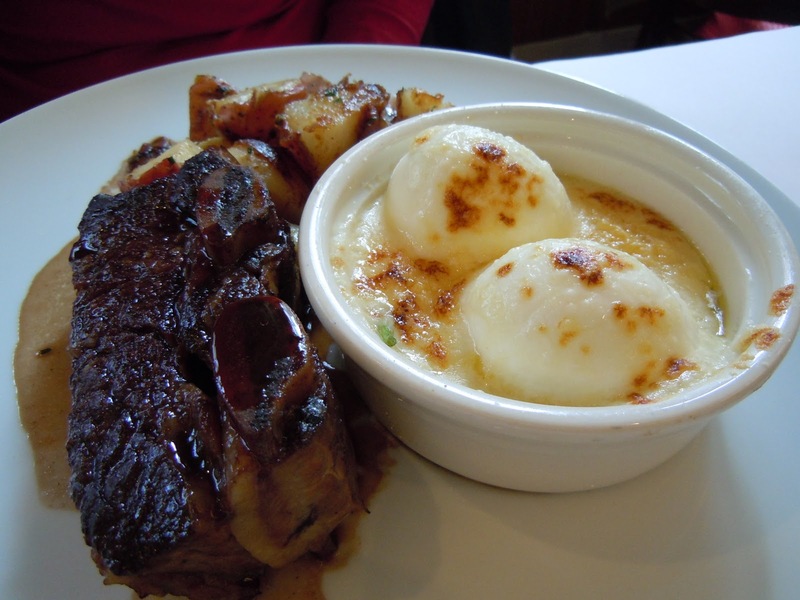 I offer the following photo of Lisa’s dish Oeufs Mollet Florentine with Short Ribs and Potatoes. Oeufs Mollet (soft boiled egg) Florentine with a bechamel sauce, spinach and gruyere cheese was absolute heaven. Why do I mention this dish? Because it has all the requisite ingredients for a future hashcapade at Chez Clark! I have fond memories of our family’s dear friend, Helen Samp, and her amazing ham loaf. On holidays and special occasions, our family gathered around to devour her amazing rolls and taste-defying ham loaf. So, when a co-worker mentioned her ham loaf recipe, I clearly had a line of site to my next hashcapade. Starting out, I didn’t realize that I would needa special house and kitchen in which to make this hash, but I did – a bacon-log cabin! If that’s the protype for a bacon log cabin, then here’s my version of a bacon hangar for Porco Rosso. 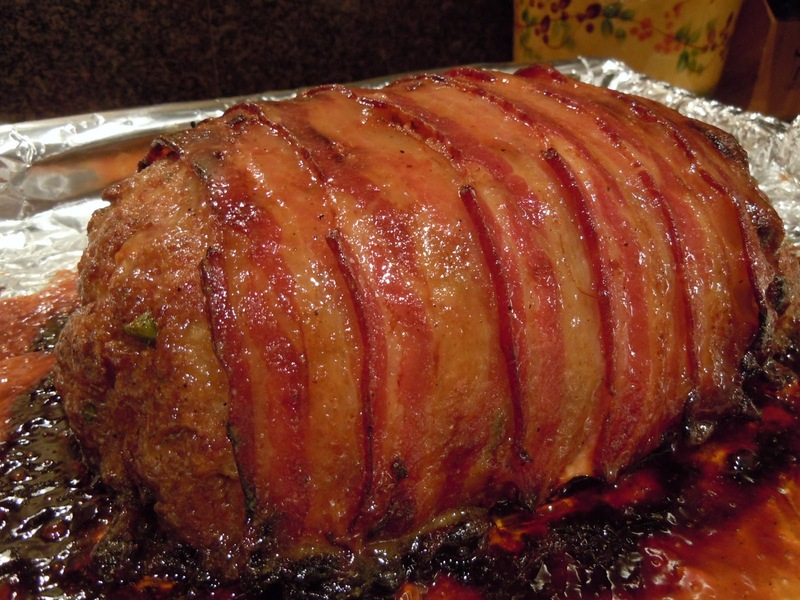 Yes, this is the pre and post view of the bacon-wrapped ham loaf, pork-vana, with ham, pork and bacon – oink! 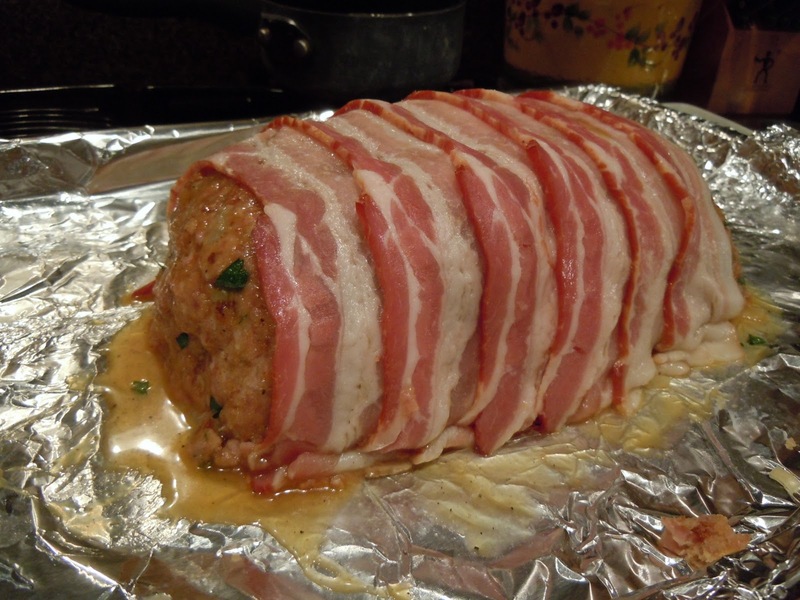 Ham loaf with glaze and bacon wrapping before cooking. Transformed ham loaf after cooking and glazing. After making the ham loaf, I wondered: What wine pairs best with ham loaf? I decided that a Merlot wouldn’t be the worst damage I could do. Besides, my collection was, um, running low and I thought a 2005 Prunotto Barbaresco would be too extravagant. Now, fast forward to lunch today and the hashcapade! The actual execution of the hash was simple compared to the making of the ham loaf. While you get all the ingredients, adjust the oven rack to the middle and pre-heat to 350 degrees. 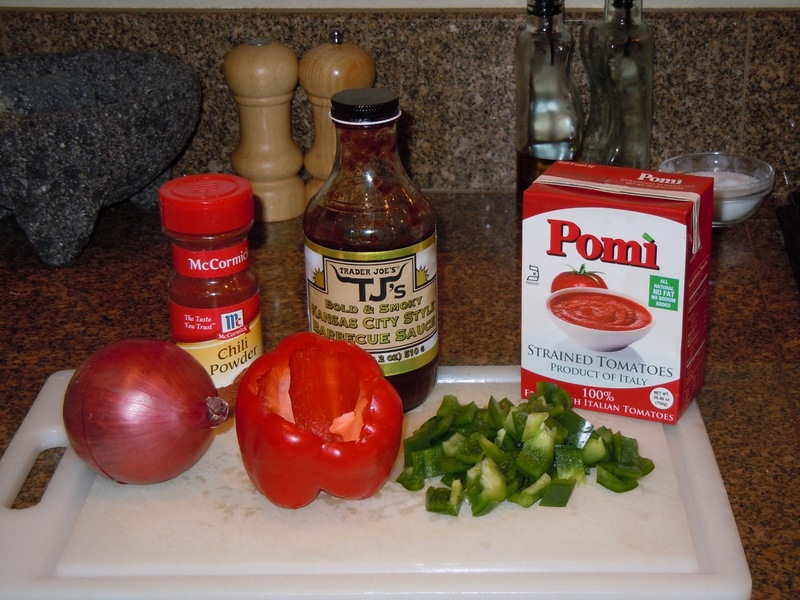 > For the glaze, mix the honey, 1/4 cup mustard and 1/4 tsp black pepper sauce in a small saucepan over low heat until combined, set aside. > Heat a medium skillet to medium, then add oil. Add onion and cook until softened, about 5 minutes. Add garlin, cook until fragrant, 30 seconds longer. Remove from heat. > In a large bowl, mix the eggs, remaining 2 tsp mustard, 1/2 tsp black pepper, parsley, thyme, pepper sauce, cloves, allspice and yogurt. > Add the ground pork, ground ham, bread crumbs and cooked onion and garlic and mix it all together until it no longer sticks to the bowl. > Turn the mixture onto a foil-lined, rimmed baking sheet and shape into a 5×9 inch rounded loaf. Brush the loaf with the glaze, then arrange the bacon, overlapping slightly cross-wise along the top to cover the surface. With a spatula, tuck the bacon ends underneath the loaf. > Bake the loaf until the bacon is crisp and internal temp registers 160 degrees, about 1 hour. Remove the loaf from the oven, increase the temp to 450 degrees, coat the loaf with the rest of the glaze and cook until the glaze bubbles and turns golden, about 5-10 minutes. > Remove and cool at least 20 minutes and serve. On to the naked people. 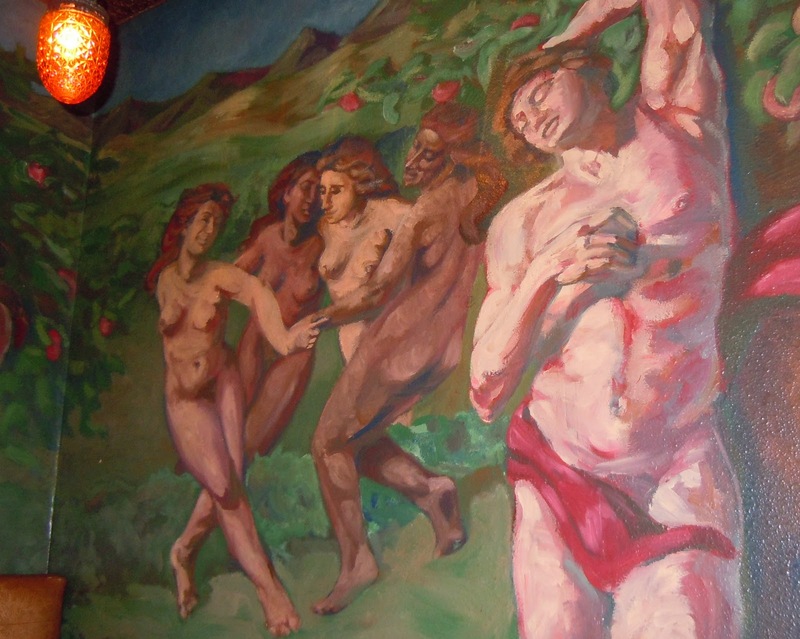 In the book, Breakfast in Bridgetown, Paul Gerald aptly describes the mural below as “either Greek bacchanalia or Druid ritual.” I actually believe it’s alarmingly similar to my dream the other night where I was the ancient version of the Old Spice Guy being chased my nymphs. In any case, the vibe was infectious as music from Stevie Wonder, Sir Duke, serenaded us as we waited expectantly for our breakfast. 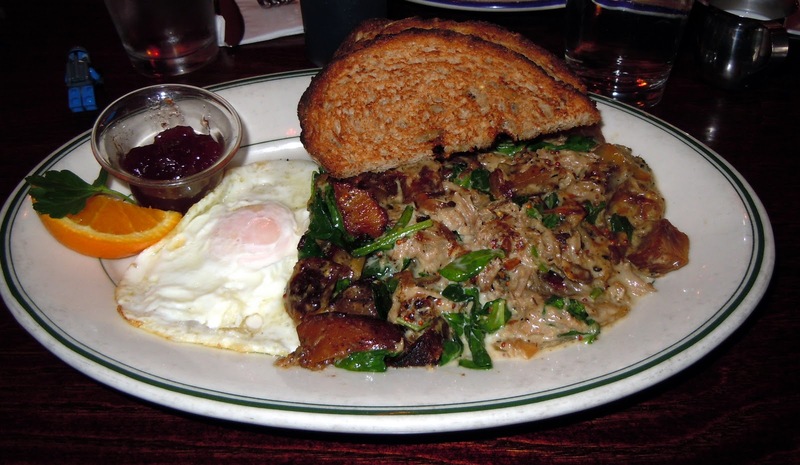 Wild Abandon offers a spectacular Pulled Pork Hash, a gastronomic enigma that was high on my list to try. The picture below (darn grey skies!) doesn’t do justice to the dish – juicy pulled pork, fresh spinach, stone-ground mustard, caramelized onion, and baked potatoes avec skin in a creamy, gravy-like sauce. All in all, my Pulled Pork Hash was very tasty and ample enough to require a box to take the rest of the deliciousness home. Sadly, my kitchen lacks the atmosphere of Wild Abandon, but the iconoclastic setting, Bacchnalia mural and friendly wait staff will be fondly remembered as I savor the spoils of yet another hashcapade!